Kid swim lessons have been the foundation of StyleSwim since we began. And today we still take special care to make sure our swim schools are a welcoming, comfortable and inviting place for kids of all ages. StyleSwim offers swim classes for babies, toddlers, infants, kids, swim team, adults, and children with special needs islandwide. The intimate swim instruction is a great environment for children learning to swim. Our swim programme gives children a platform to grow and develop their swimming skills. At the first child swim class, we will assess their swimming proficiency and provide lessons for their specific skill level. StyleSwim is dedicated to kid swimming instruction in order to teach children to be safe and proficient in the water. Our instructors and our swim class students find this the perfect environment for learning. Expert Swimming instructors, a nationally recognized swim curriculum and a kid friendly environment enhance your children’s swim class experience. Kids Swimming Lessons can teach them to lead a healthy lifestyle. This is important as kids tend to pick things up better when they are young. Teaching your child to be active and healthy from youth can be a catalyst for healthy and happy adolescents and adults. At StyleSwim, we believe that child swim classes should promote lifelong skills and be fun! 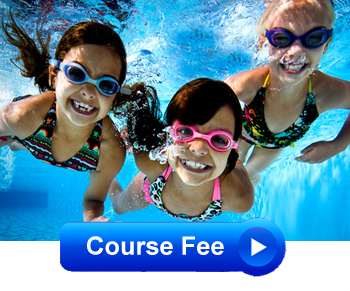 We love to swim, and our goal is to teach children to love it too through educational and exciting child swim lessons.